Under the Affordable Care Act (ACA), employers that do not meet the 50 or more full-time or full-time equivalent employee threshold to be Applicable Large Employers (ALEs) do not face the requirement of offering coverage or facing penalties. Not surprisingly, as a result, smaller businesses often do not offer coverage. New regulations proposed by the U.S. Department of Labor (DOL) want to change that dynamic. In a Notice of Proposed Rulemaking, the DOL is proposing to expand opportunities to offer employment-based health insurance to small businesses through Small Business Health Plans, also known as Association Health Plans. The deadline to submit comments on these new regulations is March 6, 2018. In a press release, the DOL notes that up to 11 million Americans working for small businesses or who are sole proprietors and their families lack employer-sponsored insurance. DOL said it believes these new rules would close the gap of uninsured Americans without eliminating options available in the healthcare marketplace. The proposed regulations will allow small business health plans—known as Association Health Plans (AHP)—to expand under The Employee Retirement Income Security Act of 1974 (ERISA). This will allow the self-employed and other small businesses to band together to form their own associations for the purposes of providing healthcare coverage. The employer members of these AHPs need to be in the same trade, industry, line of business, or profession, or to have their principal place of business in the same state, or, if in multiple states, in the same metropolitan area. Under the current regulations, an AHP is considered a single plan only if the association has a purpose or function unrelated to offering healthcare benefits and the employer members have a common economic interest. The end result of these new rules, or so the thinking goes, is that this will make premiums more affordable. The trade-off is that these health insurance plans would be less extensive that what is usually required by health insurance plans offered by the Health Insurance Marketplace. Another result of these new rules would be to encourage certain small businesses and the self-employed to avoid the Marketplace for their insurance needs, another step towards making health insurance policies offered by the Marketplace less affordable. These rules do not change the ACA requirements for the employer mandate under the Affordable Care Act (ACA). ALEs continue to be required to offer coverage or face penalties and they continue to be required to submit annual information filings to the IRS. 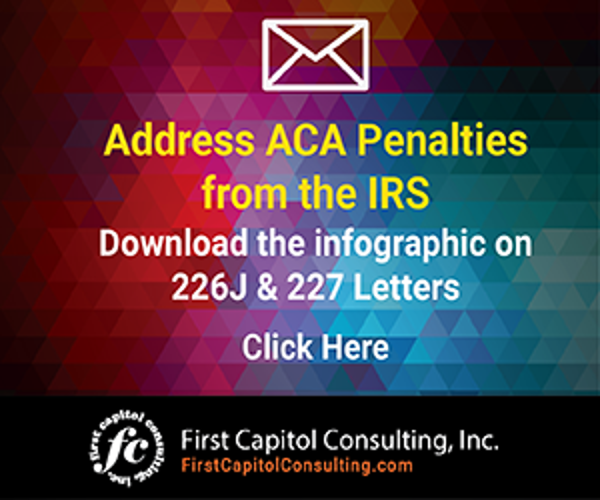 The information in these filings will determine if the IRS decides that employers have not complied with the ACA.The IRS has assessed some employers with Employer Shared Responsibility Payments (ESRPs) in the millions of dollars. 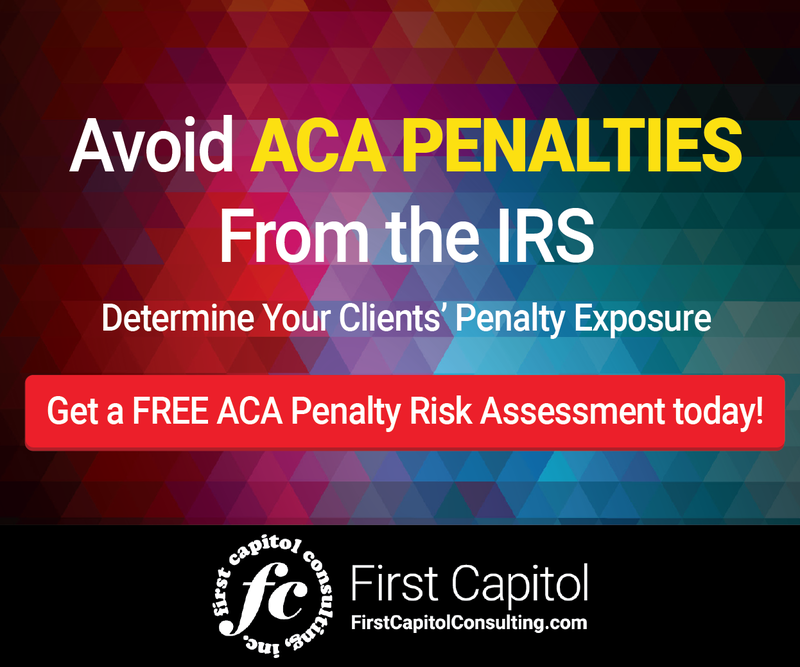 Now is the time to review whether your ACA compliance processes are good enough to avoid being assessed an ESRP by the IRS. To learn more about the two errors that are triggering ESRPs, click here. To learn more about responding to Letter 226J, click here. The U.S. Department of Labor wants to change the regulations for small businesses to expand access to healthcare for employees. The DOL is seeking comments on its proposal. These rules do not affect the Affordable Care Act’s Employer Mandate, but may impact smaller employers.